Since 2008, ACTIVEx'ers have "funraced" to help underserved kids get in the game. 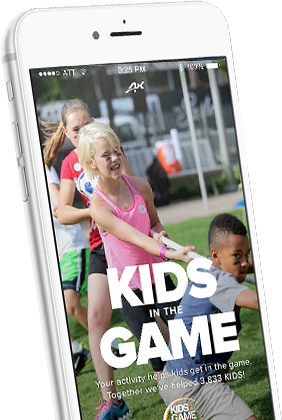 Now through the ACTIVEx App, you too can help kids participate in sports! ACTIVEx has put3833KIDS in the GAME! As we grow this awesome community of active people, we aim to help those less fortunate find their active.